Even though Texas is a very large state it only has two notable riding areas – the central Texas hill country and the Big Bend region in west Texas. The rest of the state is, candidly, a bit underwhelming from a motorcycling standpoint. When Texas riders want to ride the good stuff, and don’t want to leave the state, they head to either the hill country or Big Bend. Experienced adventure riders are well aware of the various backcountry discovery routes (BDRs) that are all the (justifiable) rage now. 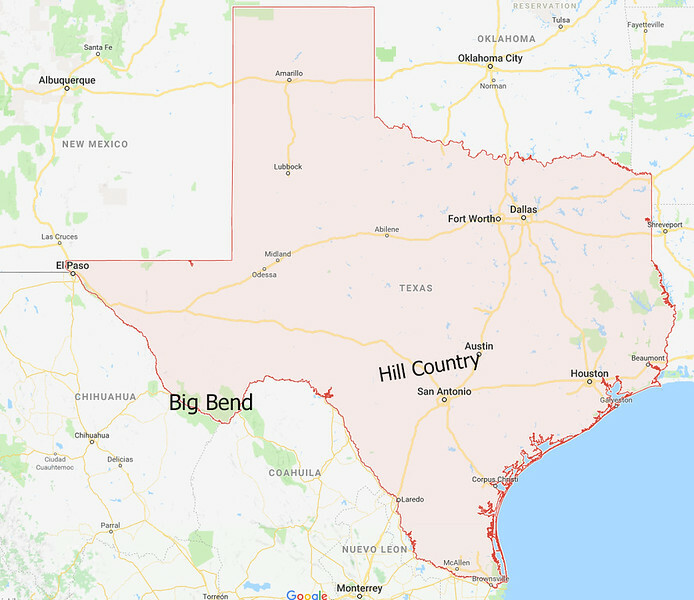 Texas doesn’t have a BDR route but if it did it would need to include both the hill country and Big Bend or it would be just half a discovery route. The major challenge with including the hill country and Big Bend in one giant BDR type route is the transition between the two regions. 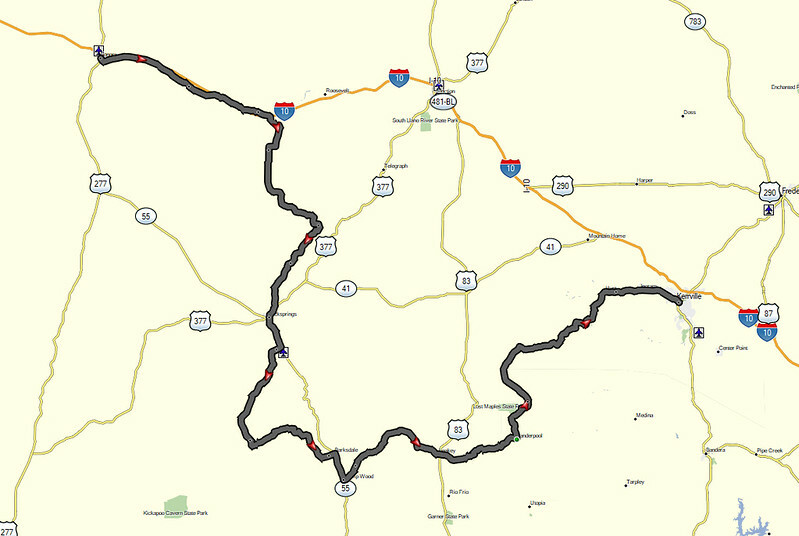 In particular, there aren’t enough good motorcycling roads between the hill country and Big Bend to create a fun loop. There is first-rate riding in both the hill country and Big Bend but the land between the two is short on great dirt or twisty pavement. Instead it has an abundance of long, straight, boring highway miles making it difficult to create a BDR worthy of the name. Most Texas riders have accepted this as a fact of life. We either trailer our bikes to Big Bend or we resign ourselves to riding several hundred miles of boring highway between the hill country and Big Bend. The re-opening of the international border crossing at Boquillas on the Rio Grande river in Big Bend National Park and the re-establishment of services (food, gas, rooms) in the village of Boquillas, Coahuila, Mexico enables an alternate path between the hill country and Big Bend and allowed the creation of a Texas-based BDR type route with an international flair – the Tejas 1300 international adventure ride. The Tejas 1300 is a six section, 1330 mile international dual sport adventure route beginning and ending in Kerrville, Texas. It includes some of the finest paved and dirt roads in the hill country and Big Bend combined with 450 miles of extremely remote riding across the desert and mountains of northeastern Mexico. By routing through Mexico we are able to significantly expand the amount of dirt on the route while also avoiding riding the less desirable pavement between Big Bend and the hill country twice. If the idea of an international dual sport adventure ride through some of the most remote areas in Texas and Mexico excites you, then this is the adventure you’ve been looking for. This section travels through the heart of the hill country from Kerrville, TX to Del Rio, TX. While this section only includes one dirt road – the superb Bullhead Road – it makes up for the absence of dirt by including the finest twisty roads in the hill country, the famed Three Twisted Sisters. Also, for those not already familiar with them, you will be introduced to “bump gates” today. Lodging: There are multiple options for lodging in Kerrville and Del Rio (the beginning and ending points for Section 1). If required, due to bike or other issues, you can find lodging in Leakey and Rocksprings. Fuel and food: Multiple options exist for both fuel and restaurants along Section 1. You will find food and/or fuel in Kerrville, Medina, Vanderpool, Leakey, Rocksprings, and Del Rio. 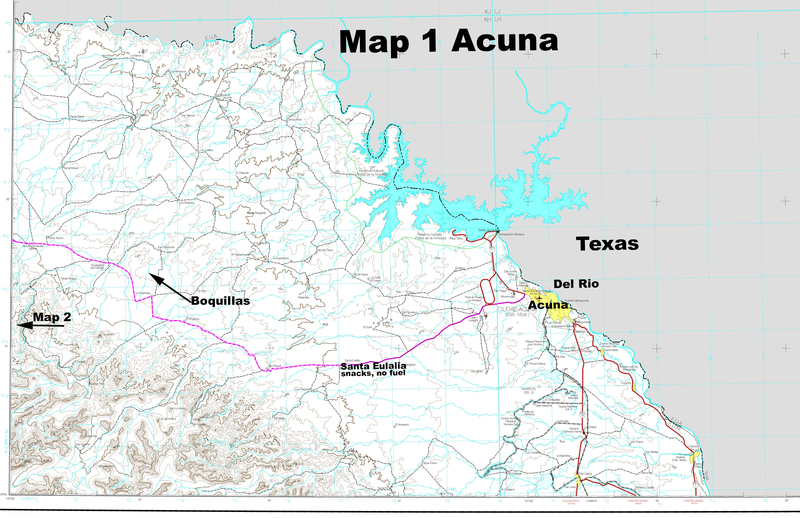 Section 2 enters Mexico at the town of Acuna and then travels 235 mostly dirt miles to the border town of Boquillas. Sections 2 and 3 are the most remote riding of this adventure and you should be prepared accordingly. I recommend not attempting these sections alone. Lodging: You can find a room in Boquillas but otherwise there is no other lodging on Section 2. Riders are strongly urged to carry emergency camping and survival gear due to the remoteness of this section. Fuel and food: Fuel is available in Del Rio, Acuna, and Boquillas. You might be able to buy gas in the small village of Jaboncillas (about 25 miles south of Boquillas) but I would not plan on it. Forty kilometers after leaving Acuna you will pass through the small village of Santa Eulalia, which has a small store but no fuel. There are no services in the 210 miles between Santa Eulalia and Boquillas – no towns, fuel, restaurants, or hotels. You should have a minimum fuel range of 250 miles upon leaving Acuna. You should carry enough water and food to survive two days in the desert. If your bike breaks, or if you get injured, it could take up to two days for your buddy to get help to you. Section notes: Boquillas survives from tourism and prices reflect this fact. Bring plenty of US dollars in small bills and expect everything to cost twice as much as in non-border Mexican towns. Please generously tip locals who provide information, advice, and assistance. There are no gas stations in Boquillas – fuel is sold by a couple of locals from 55 gallon drums. There are no motels in Boquillas but there are rooms/beds for rent. Ask the locals for help locating fuel and lodging and please tip them for the assistance. Boquillas has two restaurants and one bar. The border crossing is closed on Mondays and Tuesdays and, with no tourists in town on those days, the two restaurants and the bar are closed too. Don’t plan on getting a meal at either restaurant on Mondays or Tuesdays or finding a place to have a drink. Everything will be closed. In other words, if you are arriving in Boquillas on a Monday or Tuesday, bring everything with you (food, water, etc). The other days of the week you should be able to fine. 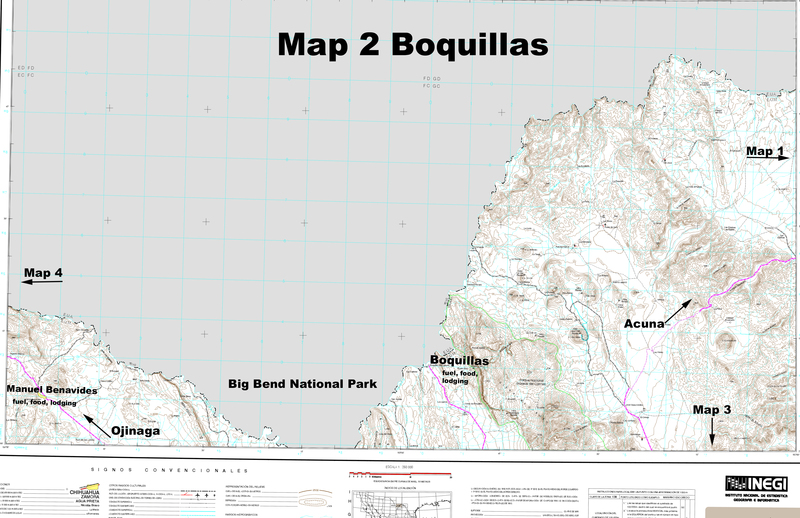 Alternate Section 2: It’s kind of cool to visit Boquillas and it does provide the most services in the area but it is also 25 miles out of the way. Which also means 25 miles of backtracking at the start of day three. 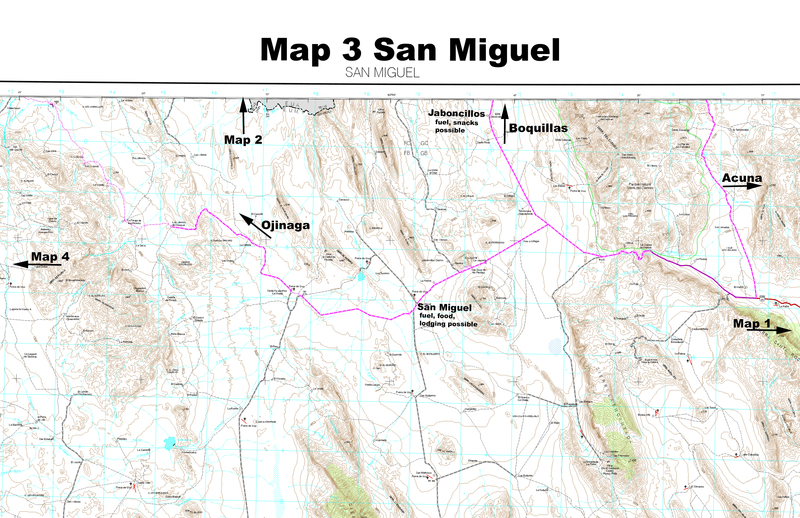 As an alternative, instead of going all the way to Boquillas after crossing the mountains, you can instead go west on Hwy 20 (Section 3 of the route) until you reach the small village of San Miguel. When I last rode through here a vendor on the side of the road was selling gas from 55 gallon drums. There was also a small restaurant on the main road through town and the ladies at the restaurant told me they had rooms to rent though I did not personally see them. If you decide to go with the San Miguel alternate and then discover after arriving there that fuel, food, and/or lodging aren’t available, you still have the option of riding to Boquillas. To do so will require about 20 miles of backtracking on pavement. 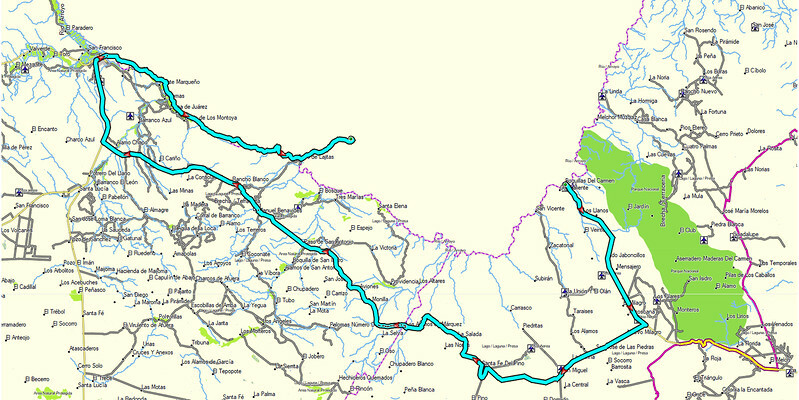 The next time I do this route I will avoid Boquillas and stay in San Miguel instead. At 260 miles in length, Section 3 is the longest of all the sections. You will complete the Mexico part of the Tejas 1300, re-enter Texas, and end the day in the Terlingua/Study Butte area, the heart of the Big Bend region. The first 150 miles of this section travel from Boquillas to Manuel Benevides and is mostly dirt; the remainder of the section consists of pavement. Hwy 170 from Presidio to Terlingua is one of the most scenic roads in Texas and a motorcycling top five. Lodging: There are various lodging choices in Terlingua and Study Butte. If the need arises, you can also find lodging in Manuel Benevides, Ojinaga and Presidio. Fuel and food: Fill your gas tank before leaving Boquillas. 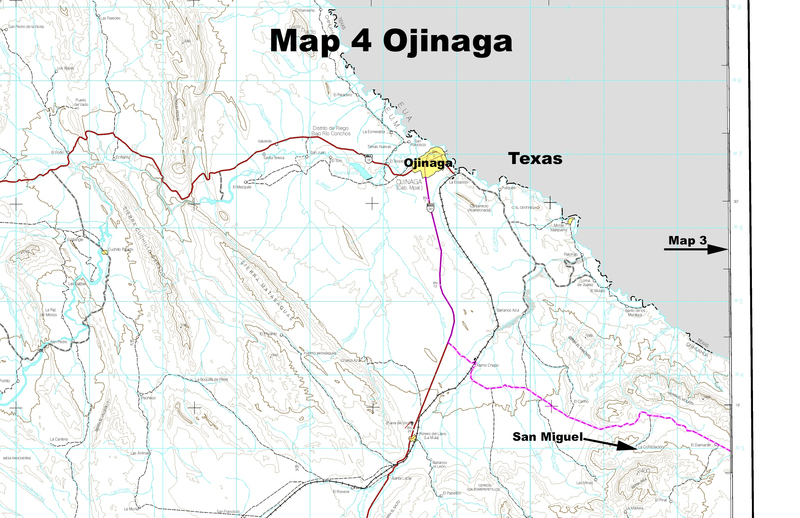 If, for some reason, you are unable to get gas before leaving Boquillas, you should be able to get fuel in San Miguel and you might be able to get some in the small community of Jaboncillos. There is fuel available in Manuel Benevides, also from a 55 gallon drum. Ojinaga, Presidio, and Lajitas all have gas stations. Section notes: If you arrive in Terlingua before dark, seek out the Terlingua Trading Post & Starlight Theater Restaurant. The porch joining these two establishments is the preferred end-of-day gathering spot for locals and tourists alike and is the prime choice for relaxing and enjoying a cold drink after a long day on a motorcycle. The Starlight Theater Restaurant is the best restaurant in the Big Bend area. The good news is that this section includes two of the best dirt roads in Big Bend National Park (BBNP) – River Road and Old Ore Road. The bad news is that the national park entry fee for motorcycles is $20. The 100 miles of dirt you will be riding in BBNP should not be missed so just grit your teeth and pay the $20 entry fee. After completing the dirt sections of BBNP, you will enjoy an easy, scenic paved ride north to Marathon, Texas. Lodging: There are limited lodging choices in Marathon. I recommend making reservations to ensure you have a room waiting. Fuel and food: There are only three gas stations in the vicinity of BBNP – one in Study Butte and two in BBNP (at Rio Grande Village and Panther Junction). The route passes the stations in Study Butte and Rio Grande Village. The station in Panther Junction is off the course and out of the way but is an option in an emergency. There are no restaurants on this section. You can find snack food in BBNP at Castolon and there is a pretty good little convenience store in Rio Grande Village. After leaving Rio Grande Village there are no services or stores until Marathon, TX. This section joins the Big Bend region to the western edge of the hill country. 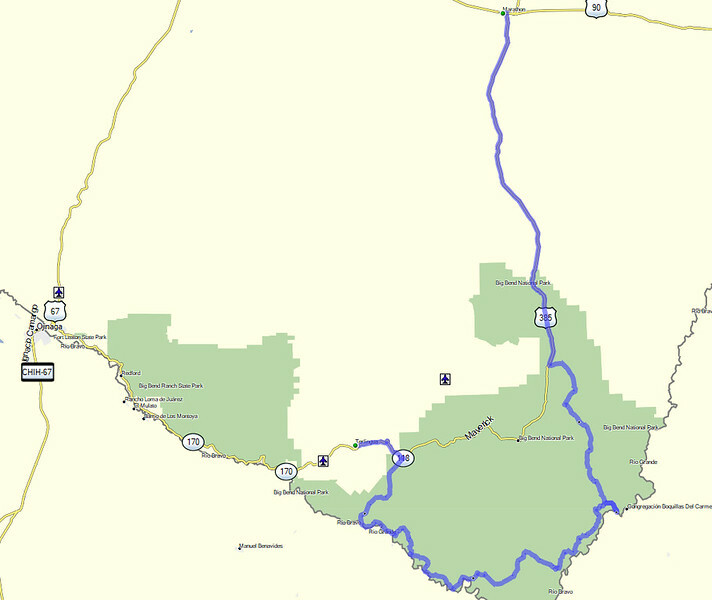 It begins with 115 miles of highway from Marathon to Langtry but beyond Langtry the riding gets a lot more interesting. Pandale Road is an easy but fun dirt road, as is Juno Road. As you ride east, you will clearly note the terrain changing from the desert of Big Bend to the semi-arid environment of the hill country. Lodging: There are multiple lodging options in Sonora. If needed, you may be able to find lodging in Sanderson or Langtry. Fuel and food: Fuel is available in Marathon, Sanderson, and Sonora. There is no gas between Langtry and Sonora. You might find gas and snack food in Langtry if the one convenience store there is open. There are restaurants in Marathon, Sanderson, and Sonora. There used to be a convenience store in Pandale but I wouldn’t count on it being open. Section 6 includes the best dual sport roads in the hill country. Your reward for enduring the initial highway section out of Sonora will be the excellent dirt of Old Junction Road, followed shortly thereafter with even more great dirt on White Mountain and Cedar Creek roads. You will be re-introduced to bump gates on all of these roads. There are multiple water crossings on Cedar Creek Road, some of which can be a little deep and somewhat challenging on a loaded down adventure bike. Upon finishing the final dirt section at Barksdale, TX you will ride scenic and twisty pavement back to Kerrville and the end of this adventure. Lodging: You can find lodging in Rocksprings, Camp Wood, Leakey, Ingram, and, of course, Kerrville. Fuel and food: Fuel and restaurants are located in Sonora, Rocksprings, Camp Wood, Leakey, Vanderpool, Ingram, and Kerrville. You can ride the Tejas 1300 on any street legal dual sport adventure bike. The dirt sections, especially those in Mexico and Big Bend, generally have sections of sand, gravel, and silt that can be challenging for large adventure bikes loaded down with a week’s worth of gear. If you have a choice of bikes, I recommend choosing the lightest one that can sustain 70 mph for a few hours at a time. While you will ride some highways with legal speeds in the 70-75 mph range, most of this adventure will be spent riding at speeds of 60 mph and less. Your average dirt speed will likely be about 30 mph. The relatively small amount of time spent at 70+ mph on the highway versus the amount of time spent at speeds of 60 mph and less mean that a lighter bike will likely prove to be a wise choice. You might not enjoy the highway sections as much but this will be more than made up by the greater ease and fun of riding a lighter bike in the dirt, not to mention the significantly lower levels of effort it takes to ride a small bike off-pavement. Accumulated fatigue can be a factor on a long multi-day adventure ride and should be considered in your planning if bike options exist. With all that being said, I want to emphasize that any of the large adventure bikes are capable of completing this adventure if the rider is up to the task. I don’t own a large adventure bike but I have in the past and if I still owned one I wouldn’t hesitate to ride it on the Tejas 1300. 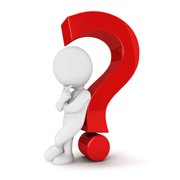 The dirt sections consist mostly of rock and caliche but you will encounter sections of sand, gravel, dust, and silt. The dirt roads in the hill country have numerous low water crossings that can be slick with algae and challenging to cross. While the Big Bend region does not get a lot of rain, when it does rain the dirt roads become impassable. The clay in the soil gets so tacky that it can easily and quickly trap a vehicle. More than one motorcyclist has burned up a clutch trying to extract his motorcycle from Big Bend mud. If you do stick your bike in the mud, don’t expect to be able to get a tow truck to retrieve your motorcycle until after the ground has completely dried. Locals, including tow truck drivers, have learned to never drive on the dirt roads when they are wet because of the ease with which vehicles get stuck and the expense of getting them out once things dry up again. October through March is the best time to attempt this route. Summer can be lethally hot and I advise not attempting this adventure in the late spring through early fall (April – September). In the winter expect lows in the 30s and afternoon highs in the 60s. Spring and Fall temperatures will range between the 40s and 90s. Technically, you should do all the paperwork necessary to ride your motorcycle into the interior of Mexico. That means completing a tourist permit for you and a vehicle permit for your motorcycle. If you fail to do the paperwork and you encounter a checkpoint I’m sure it would be a problem. GPS: I recommend that you use a GPS for this adventure with both Texas and Mexico maps on it. I use City Navigator North America as my Texas map and I recommend the E32 map for the Mexico part of this ride. Paper Maps: I strongly urge you to carry paper maps as a backup to your GPS. I recommend the Roads of Texas Atlas for the Texas part of the route and the IEGI topo maps for the Mexico sections. The Roads of Texas atlas is the best, most accurate paper map of Texas roads I’ve found yet. You will need pages 114, 115, 116, 117, 118, 119, 120, 130, 131, and 132. You might remove the necessary pages rather than carrying the entire atlas in your luggage. INEGI TOPO: The challenge with paper road maps of Mexico is accuracy – there isn’t a completely accurate paper road map that I’ve ever been able to find. 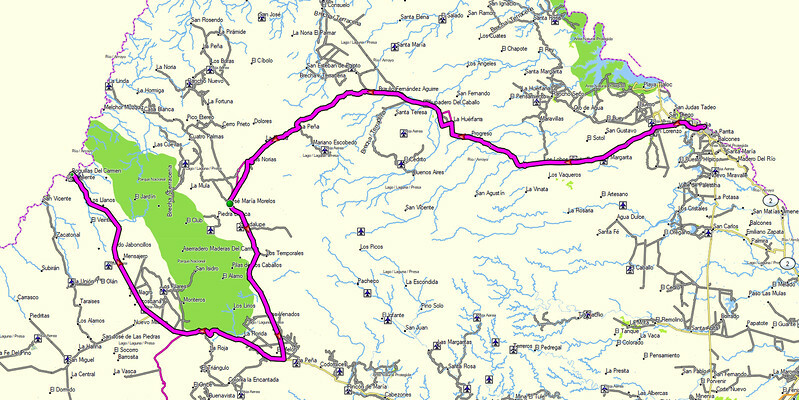 The INEGI topo maps aren’t bad and will serve as a passable paper map for this trip. The four INEGI maps you will need for the Mexico sections are below. I suggest that you have them printed in color on 11×17 paper. Route & tracks: Download the Route in both route and track gpx format. I created these using both City Navigator North America 2018 and the E32 map. Section 2 & 3 Ride Report: In December 2017, three of us had a great ride on the Mexico sections of the Tejas 1300. You can read our ride report here.